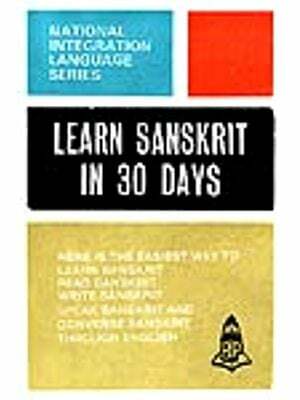 The learned public are already aware of the good books published by the Balaji Publications to learn Tamil through the medium of English, Telugu and Hindi. On the request of the many we are now placing before the another book to learn Hindi through the medium of English. There is a good gap between English and Hindi. 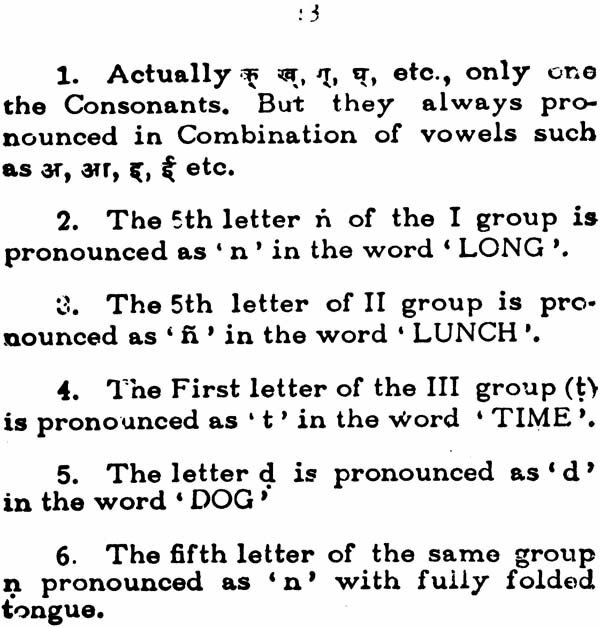 Hindi contains 44 alphabets while English has only 26. Therefore we have given diatical marks to the letters to pronounce the alphabets correctly. The symbols of pronunciation have been given in a separate page. This book is divided into Vive Parts. 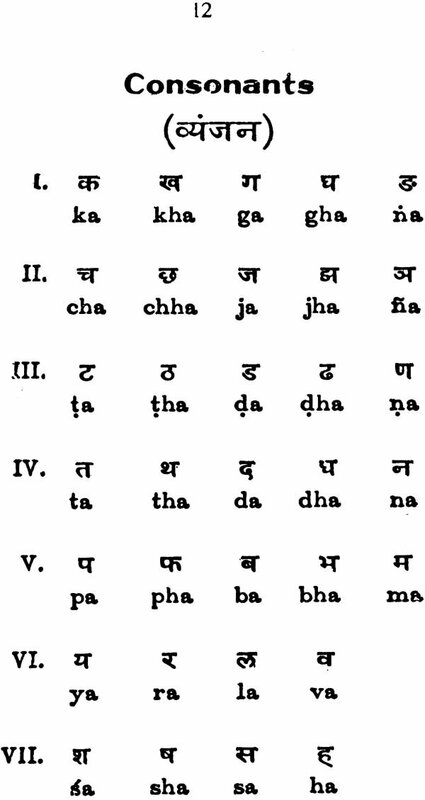 The FIRST part gives complete information about the alphabets. How to begin and how to end the letters in writing has been given in the form of diagrams. 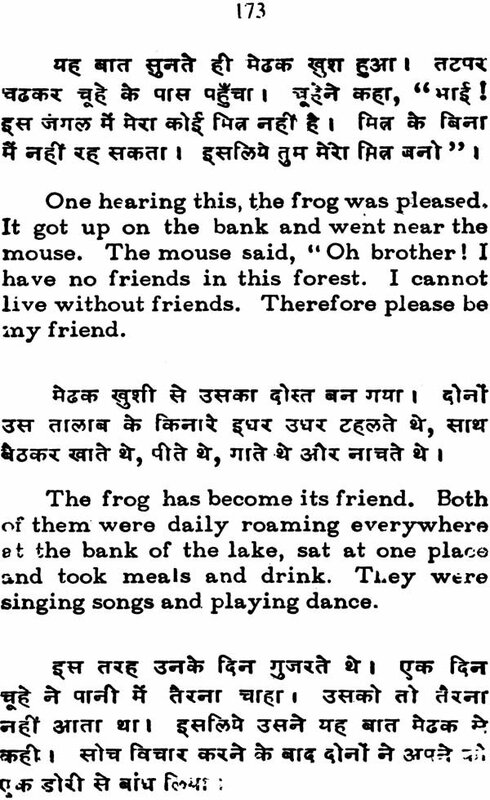 The SECOND Part deals with Hindi words. 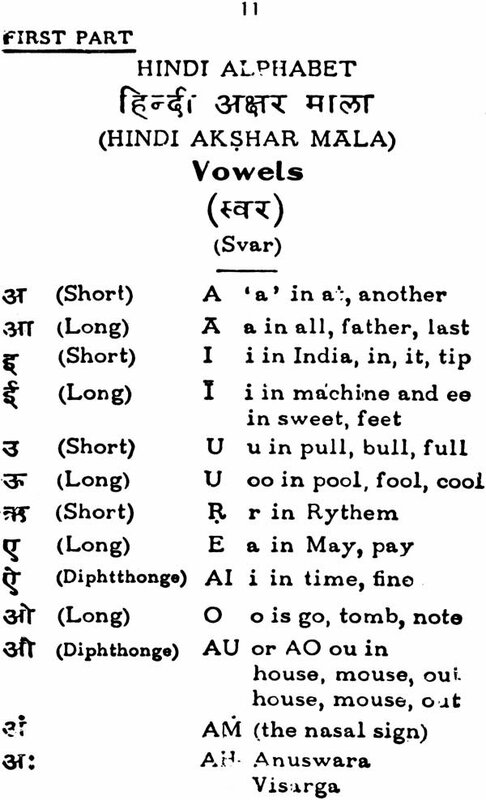 In Hindi the vowel (a) is not pronounced in certain words. So we have given pronounciation for the words in this chapter. This chapter contains the names of common commodities and the names of animals, birds etc. 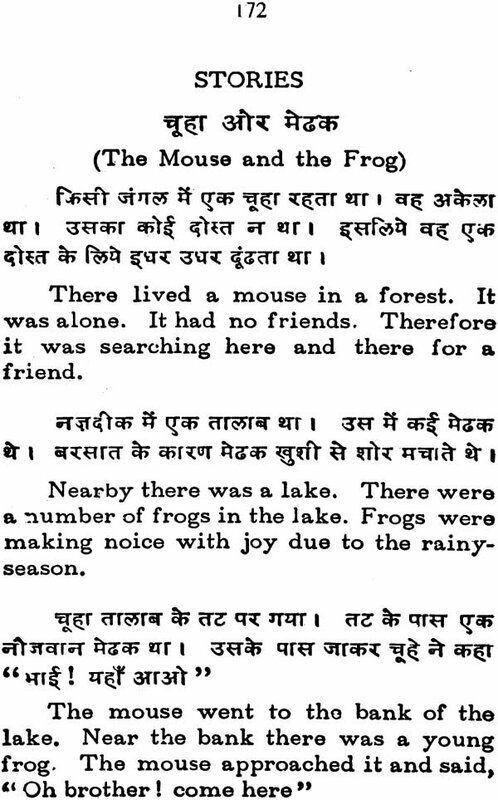 if this chapter is mastered, one can form sentences using these words and converse freely in Hindi. From the Third Part one can learn to form sentences. From the sentences containing three or four words that are given and also from those given in the forms of questions and answers. The FOURTH part deals with grammar and contains rules regarding number, gender, case ending etc. The Fifth part consists of short stories, letter writing and glossary of Words in Alphabatical order so as to enable the learners to get a knowledge of the rudiments of the language. It is hoped that this book will be a great help for national integration. We are confident that this publication will find good acceptance from the general public and that we will meet with good encouragement at their hands for the publication of similar books. 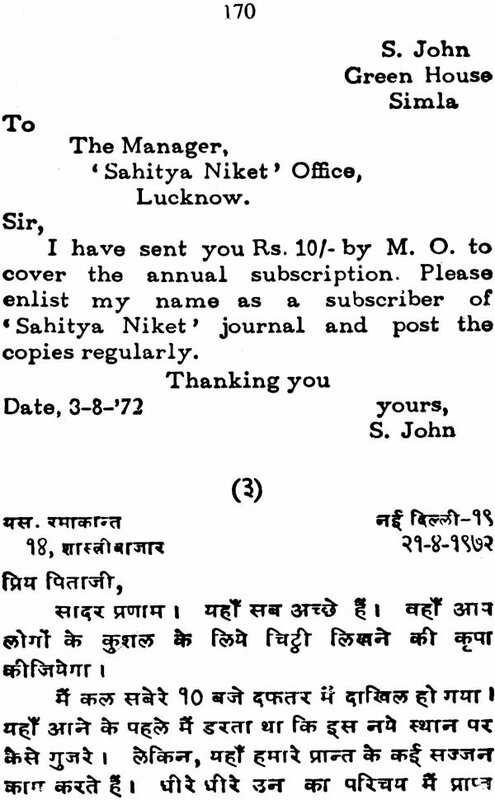 I would love to learn hindi. 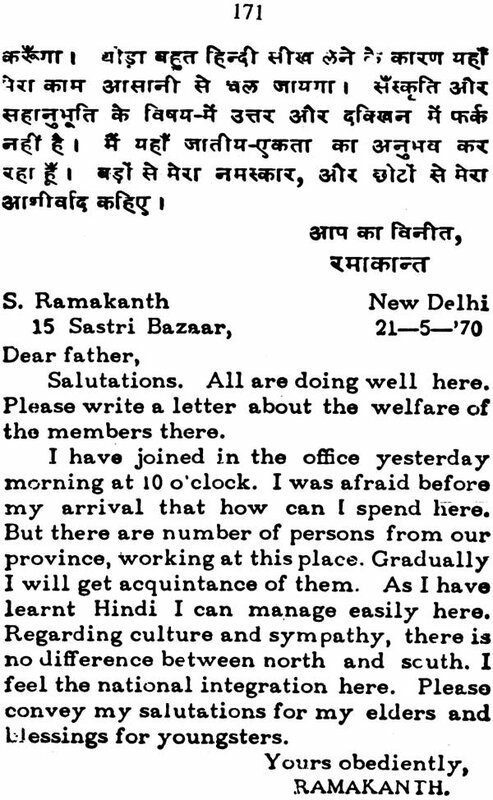 i want to learn hindi. wud love to learn hindi at the soonest.